In the understanding of modern man, advertising is the most unnecessary means of propaganda. What do we do when we see ads? That’s right, blocking it. Now there are even a variety of programs, applications and add-ons to block annoying ads. But all advertising is not needed? No, especially when the user is really looking for information, and the search engine gives him in addition to standard queries, advertisements, suitable subjects. However not all of them work adequately. 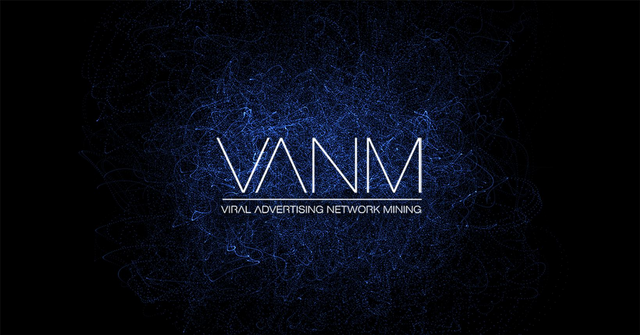 However, in the vast Internet and blockchain technology, a new project VANM, which will raise the usefulness of advertising for the user to a new level. VANM IS a kind of search engine that is configured in such a way that it covers a specific area where you want to distribute information about the product. The territory of ad impressions is chosen based on the usefulness and popularity of the product in this territory. The essence of the advertising platform is that the system compares supply and demand in the selected area. For more transparent work, blockchain technology was chosen, not Fiat funds. Here, the question immediately arises: why do mutual settlements take place in the crypto currency? The answer is simple, because cryptocurrency has a number of advantages over Fiat funds. For example, quick transfers, minimal fees, no need to open a Bank account, as well as the inability to steal funds (not the fault of the owner of the wallet). Since advertising annoys many Internet users, most of these people already use ad blockers. And in vain, because VANM is able to solve this annoying problem. Advertising is shown only in those moments when the user in the search bar drives the information of interest to him. And only on the basis of the subject of the request, a person receives an advertising product. It should be noted that effective advertising costs a lot of money, and therefore, most of the small businesses, such a function is not affordable. Representatives of the VANM platform attract advertisers with excellent quality and loyal prices. Naturally, in order for advertising to work effectively, you need a component. 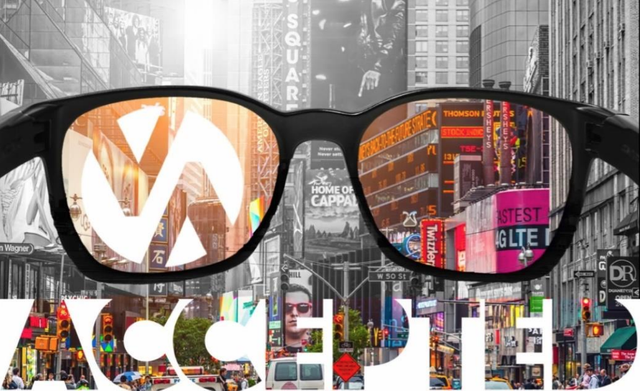 In our case, there are three branches of the project: users who search for products and view advertising, advertisers – organizations that place advertising at loyal prices, as well as the creators of advertising – organizations that, on the order of the product manufacturer, create advertising for it. What benefits and how, can each such branch from VANM. Everything here is simple: advertisement – received payment. But in this case it is worth noting that the advertising corresponds to the region and the user’s interest. In addition, users have the opportunity to purchase goods or services from partners for earned tokens. Advertisers are the element that drives the promotion of the advertised product. Advertisers have the opportunity for the most loyal prices to advertise. 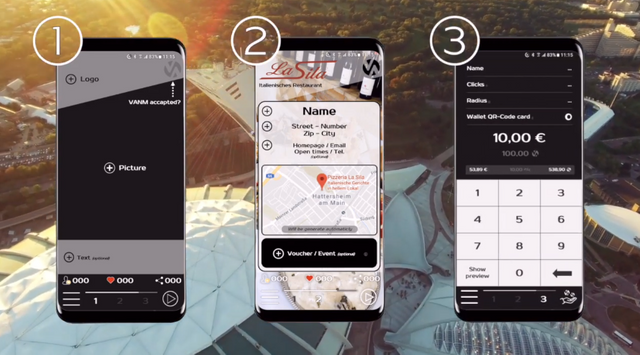 In order to advertise, they need VANM tokens, which they receive for curating and placing an advertisement from the manufacturer of the product. Every ad Creator earns VANM tokens with their talent and creativity. The better advertising is created, the more potential customers the Creator of the commercial will have. In addition, there are special bonuses from the manufacturer of the goods. This means additional revenue from advertising. The VANM token is created on the Ethereum platform, which adds security to the platform. The VANM token is the only means of payment on the platform of THE same name. Transactions are easy, simple and secure. 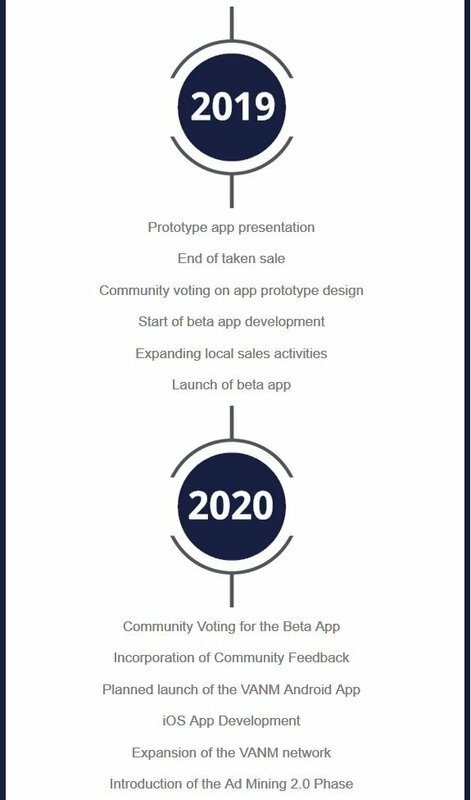 Only created 240 million tokens, moreover, most of them, and that 60% of investors have access to. 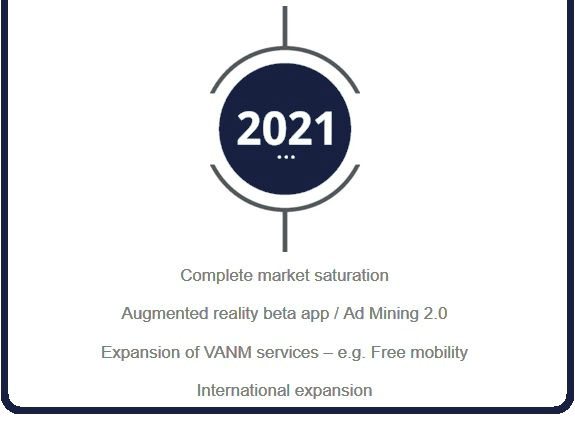 20% of the total amount of tokens issued will be distributed among users who promote VANM. 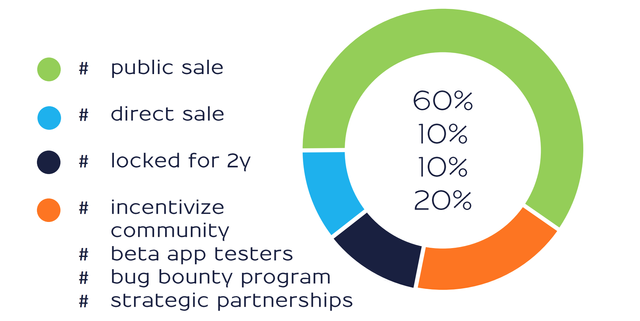 And this: testers of various programs and applications, bounty participants and other users. The remaining 20% will be equally divided between the creators and the team, as well as left in reserve. VANM is a very necessary project for our time. We do not need advertising of all products, we need advertising only what we need and what we are looking for. And VANM will help users with that. 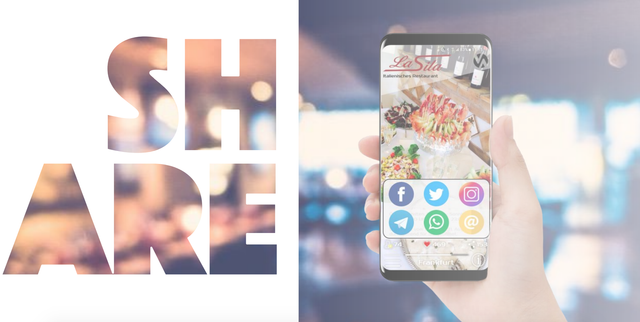 Only relevant and necessary advertising, low prices for advertisers, as well as the opportunity to earn VANM tokens. 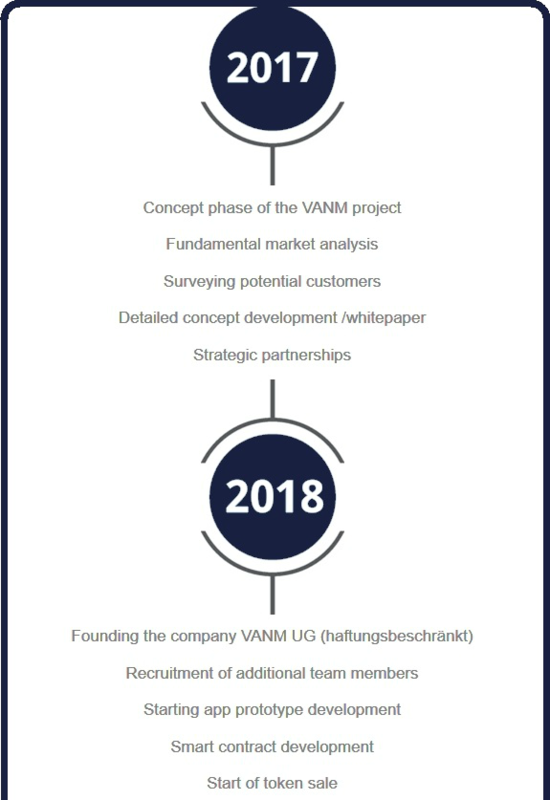 In my humble opinion, the success of the VANM project is assured. After all, in today’s market there are not many projects of this kind, whose activities are aimed at regulating the advertising market and the consumer community.